I wrote this guide for online shopping in South America, on the Argentinian eBay site, with Argentina & global shipping. Now in 2019, available in English! Step 1. Look for the “Español” link with a globe icon in the top menu. Step 2. Hover over that link, and select the option for “English”. 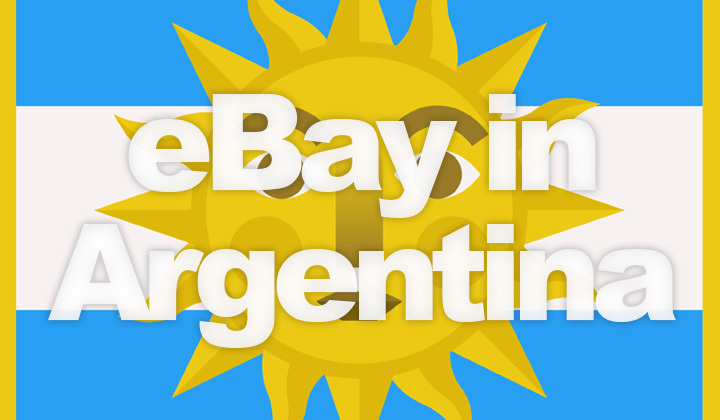 These are the different ways you can use the popular eBay.com marketplace for your shopping and auctioning needs in Argentina. But if you are simply looking for items from anywhere in the world, that support global shipping to Argentina. The site will detect your location and serve only suitable search results when browsing through the site. Or follow these tips for a more localized experience! Step 4. Choose the Argentina option in “Located in” drop-down menu. It’s real pity, that eBay currently does not support searching for sold items, and products in the whole of South America with one search. In the advanced search page, you can select location preference as worldwide, North America, Europe or Asia. But there’s no option for South America. Therefore your only option is to use the method described above for searching through Argentinian sellers, and do an individual search for every country nearby Argentina. For example, Chile, Uruguay, Brazil, Colombia, etc. You can also use the global eBay.com site to reach Argentinian buyers. Read more about their Global Shipping Program for shipping, and sending to Argentina. The benefits are an English language seller interface, and Spanish for buyers. And that sellers can be located in the US or anywhere in the world. The website is available in two native languages for Argentinian visitors, English and Spanish. But the Spanish version is only available for those who are located in South America with a local IP address for proof of location. This means, that those outside of the country where Spanish is not the first language, will only be able to access the website in English. And pretty much the only way around this restriction is to use a VPN to obtain an IP address from Argentina. But users residing in the country, will have the convenience of access to both languages with the same servers. Great for sellers who cannot speak Spanish and buyers who are residing in the country but cannot speak the language. Also there are no sites that are considered equivalents to Argentinian eBay, and the problem with other somewhat similar sites is that they lack the global marketplace feature which connects you with one of the biggest shopping basket of the world, with extensive support for global shipping and delivery. Hope this helps your online shopping ventures! Questions are welcome on how eBay works in Argentina. Or what’s your experience with e-commerce in South America? Thank you for visit & reading! Tip! There’s no eBay.ar site, this guide is for the recommended site eBay.com. Also I’d like to note to my dear readership, that not all of the posts but some contain affiliate links which are equipped with a nofollow tag. This helps to support my time put into creating useful and helpful content. My most sincere thanks, David.